Two Sun Country golf courses, the UNM Championship Golf Course and Painted Dunes Golf Club, are among the 110 local-qualifying sites for the 119th U.S. Open, the USGA announced. Qualifying at UNM will take place April 30. Qualifying at Painted Dunes will take place May 13. Qualifying also will take place at Amarillo Country Club (May 2). 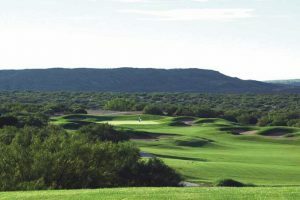 Arizona qualifier sites include: Sewailo Golf Club near Tucson (May 2), Ak-Chin Southern Dunes Golf Club in Maricopa (May 8), Phoenix Country Club (May 2), and The Country Club at DC Ranch in Scottsdale (May 6). 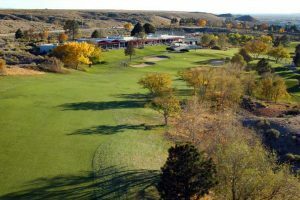 Colorado local-qualifier venues include: the CommonGround Golf Course in Aurora (May 9), Walnut Creek Golf Preserve in Westminster (May 13), and Collindale Golf Course in Fort Collins (May 7). Riverside Country Club in Provo (May 13) is the only local-qualifier site in Utah. Players who advance out of local qualifying will join a group of exempt players in sectional qualifying, which will be conducted over 36 holes at 12 sites, nine of them in the U.S., one in England, one in Canada and one in Japan. Eight U.S. sites and the Canada and England sites will host sectionals on Monday, June 3. The U.S. qualifier in Texas will be played on May 20, while Japan will host its qualifier on May 27. Canada will host a sectional qualifier for the first time. 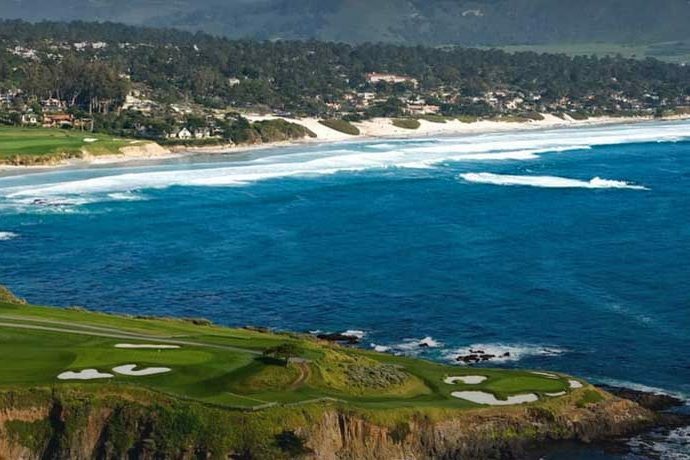 Entry into U.S. Open opens the third week of February and closes at 3 p.m. MDT on April 24. All professionals and amateurs with a USGA Handicap Index of 1.4 or lower are eligible to enter. The U.S. Open will be played June 12-16 at the Pebble Beach Golf Links in Monterey, Calif. Last year, 21 players advanced through local and sectional qualifying to the 156-player field at Shinnecock Hills Golf Club, in Southampton, N.Y. Of those 21 players, seven made the 36-hole cut, the USGA said. One of those making the cut at Shinnecock was Scotsman Calum Hill, a graduate of Western New Mexico University, whose four-day score of 18-over and a 61st-place finish earned him $24,692. 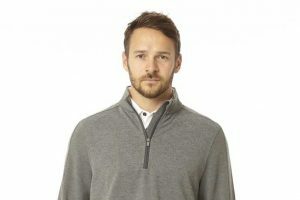 After Shinnecock, Hill gained status on the European Tour's Challenge Tour, where he earned a little over $75,000 in 2018, according to the Challenge Tour's money list. There are no U.S. Women's Open qualifying sites in New Mexico this year. 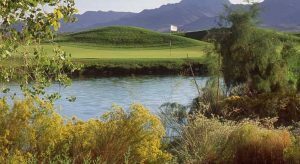 The nearest venues are Pinnacle Peak Country Club in Scottsdale (May 6) and Walnut Creek Golf Preserve in Westminster, Col. (May 6), according to a preliminary list announced by the USGA last Dec. 20. The U.S. Women's Open will be held May 29-June 2 at the Country Club of Charleston, Charleston, S.C. The Club at Las Campanas (Sunset Course) in Santa Fe will host a U.S. Senior Open qualifier on May 28, according to a preliminary list of venues the USGA announced in December. Entries will open on Feb. 20 and close on May 8 at 3 p.m. MDT. 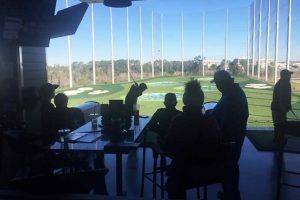 Qualifying is open to professionals and amateurs 50 or older with a handicap of 3.4 or lower. The 40th U.S. Senior Open Championship will be held June 26-30 at the Warren Golf Course at Notre Dame University. The nearest U.S. Senior Women's Open qualifying site is Glenmoor Country Club in Englewood, Colo. (April 29). Entry is open to women golfers 50 and older with a handicap of 7.4. or lower. Entries for the 2nd U.S. Senior Women's Open Championship, to be held at Pine Needles Lodge & Golf Club in Southern Pines, N.C., will open Feb. 20 and close on April 10 at 3 p.m. MDT. The New Mexico State University Golf Course will be a site for local qualifying for the U.S. Amateur on July 15-16. Entries for the 119th U.S. Amateur Championship, to be held Aug. 11-18 at Pinehurst Resort & Country Club, will open April 3 and close on June 26 at 3 p.m. MDT. The event is open to any amateur whose USGA Handicap Index does not exceed 2.4. The nearest qualifying site for the the U.S. Women's Amateur will be at CommonGround Golf Course in Aurora, Colo. (July 3). Entries for the 119th U.S. Women's Amateur, to be played Aug. 5-11 at Old Waverly Golf Club in West Point, Miss., will open on April 3 and close on June 26 at 3 p.m. MDT. The competition is open to any female amateur whose does not exceed 5.4. Venues and dates for qualifying for other USGA national championships, including the junior boy's and girls' championships, can be found here.